I was teaching a presentation skills class in Houston this week, and I had two separate participants pull me aside at two separate breaks and ask the same exact question... "Why do I still get nervous when I speak in public?" This question is very common (both during a presentation class, and sometimes, even afterwards). When you understand the answer to this question, though, you have a much better chance of eliminating your public speaking fear for good. The answer has three parts. First, many of the things that we do to reduce public speaking nervousness will actually cause the nervousness. Second, fear, of any kind, can be conquered if you both reduce the risk of failure and have a series of successes in a short period of time. Finally, the way that the Fearless Presentations ® class works is that, as we cover new stages of delivering presentations, the stages get more complicated. So, the process is designed to make participants continually experience higher levels of nervousness, but also allows them to experience a success at each stage. Let's cover each of these three areas in a little more detail. Many Things that We Do to Reduce Public Speaking Fear Actually Causes Nervousness. A while back, I did an entire podcast on this topic called 7 Presentation Habits that Cause You to Become a More Nervous Speaker. When I start my classes, my goal, right away, is to help the participants break some of these nagging habits that actually cause nervousness. A couple of the challenging things that cause nervousness are (1) writing out your presentation longhand, (2) relying on notes to remember your content, and (3) trying to memorize your speech. Most of us have been taught to do these things, and these habits are ingrained. So, giving them up can be challenging. Basically, we often just don't trust ourselves. A couple of years ago, one of my friends who is a little older than I am was telling me that he had this extensive vinyl record collection. He was telling me that, although he doesn't listen to these records very often anymore, "There really just anything like the detailed sound from records." I got nostalgic when he was describing the process. A few months later, I was with my wife in a local store here in Texas called 1/2 Price Books. Right at the front of the store, was an extensive vinyl record collection. Just for fun, I started flipping through them. I found a few that I remembered listening to over and over and over when I was a kid. I showed them to my wife, and she started getting excited too. In fact, the store had a portable turn-table by the cash register. We loaded up. I couldn't wait to get home. I setup the turn table in the living room, and the whole family was gathered. I gently put the arm on the record, and the sound started. After about 30 seconds, my daughter, a Spotify fan, looked at me and said, "That sounds horrible." Immediately after she said this, the record skipped. I moved the arm to the next song. It skipped. 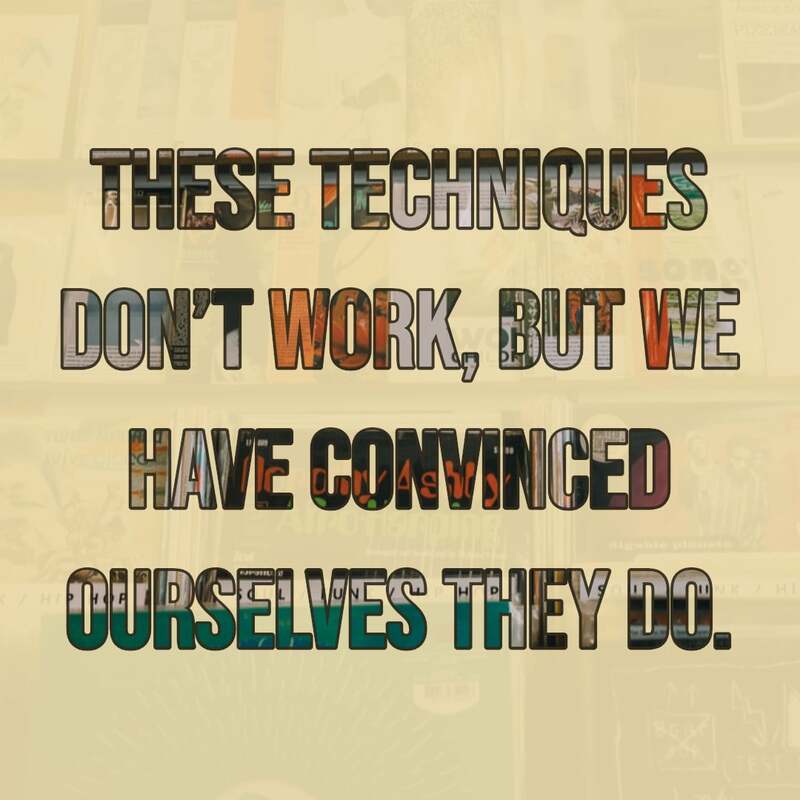 In fact, every song sounded terrible compared to the clean digital songs that we are used to. The point is that there are a BUNCH of people in the world who swear that the crackling and skipping vinyl record is the absolute only way to listen to music. They are delusional. Vinyl records are terrible. The reason why they think that, though, is because they grew up listening to these records. I think that this is the same thing that happens to people who use these tricks to feel more comfortable speaking. 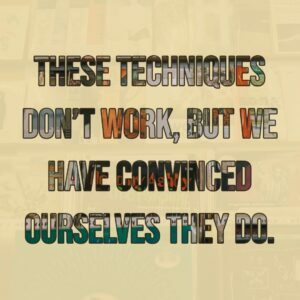 These techniques don't work, but we have convinced ourselves that they do. So, in situations where we don't have the crutch to rely on, we feel even more uncomfortable. So, for instance, if a person gets really nervous, he/she may write out the the first part of the speech word-for-word. The person will likely practice this speech over and over. Next, the person will try to memorize the speech. (Even though this is the exact opposite of what we ask class members to do, because they have that habit ingrained when they start, it is difficult to cut it cold turkey.) What typically happens in this situation is that the added pressure of memorizing the speech increases the nervousness. The person was already nervous in the first place, so this is the proverbial throwing gasoline on the fire. The challenge gets compounded because the person is likely to get a lukewarm response from the audience, so the nervousness increases even more. So, when we continue to rely on these "crutches," we make ourselves more nervous, which makes us rely more heavily on the more and more of these crutches. That is, until we find a better way. The thing that I see most often in class is that when people do the simple things that we suggest, it is very easy to see, very quickly by the way, that these new ideas work. Their nervousness drops immediately. It is the vinyl record crowd who have difficulty letting go. Fear is Reduced After a Series of Successes. Any time that you are developing a skill, the more successes that you can string together, the faster you will build confidence. (For details about the process visit Fear of Public Speaking.) The basics of growing confidence versus growing fear are pretty simple and straightforward. First, the more risk involved in a process, the more nervousness will be present in the learning process. Second, if during the learning process you have a success confidence grows. If you have a perceived failure, your nervousness grows. Finally, and most importantly to this topic, the closer the instances of success, the more and faster the confidence will grow. For instance, if I'm practicing a cooking recipe that I saw on YouTube, but I'm in the safety of my own kitchen, and I'm the only one who will taste the final product, there is a low risk of danger. (Unless I'm cooking blow fish or something.) Although I may not be a great cook, I'm not likely to have a lot of nervousness. However, if I'm trying to learn how to skydive, the risk of failure if I make a mistake is dire. As a result, nervousness during the process will be extreme. For many people, the potential embarrassment of flubbing a speech is dire as well. That is why statistics show that as high as 90% of the population has some type of presentation fear. In addition to the risk involved, our past experience is important. As we develop a new skill, if we have a success, our confidence grows. However, if we have a failure (or even just a perceived failure) we get even more nervous. When my son started playing Little League Baseball, I wanted to help him succeed. So, he and I went into the backyard every day for a month or so to practice hitting. It didn't take a lot of time. We just spent a few minutes every day. In the fifth game, his coach came up to me after getting the mid-season statistics from the league. He said, "Do you realize that Ben is batting 1000? He has the highest batting average in the league." The coach made a big deal out of it at the next practice. Ben's confidence soared. I've thought about this a lot over the last couple of years, and I realized something important. When Ben and I practiced in the backyard, he got to a point where he hit every single pitch that I threw to him. So, when he got into a game, he didn't know anything different. He just hit the ball. Other kids who didn't have those weeks of practice just showed up at the first game to give it a shot. The ones who got a hit right of the bat (so to speak,) grew their confidence. The ones who struck out right away reduced their confidence. The same thing happens in public speaking. 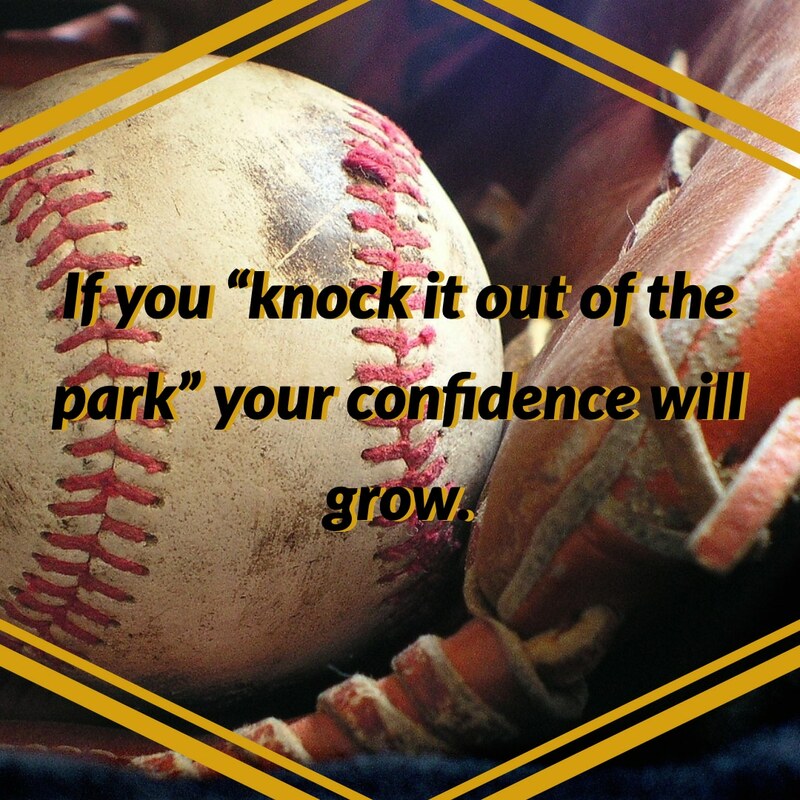 If you "knock it out of the park" during your first presentation, your confidence will grow. If you think you flub the presentation, your nervousness will grow. Finally, you have to string a series of these success together. This part is most important. If you are developing a new skill but you practice the skill so infrequently that you can't build up any momentum, it can take an enormous amount of time to reduce the nervousness that you feel. Let's say that you want to run a marathon. In order to train, you decide to run five miles once every six months. That would be ridiculous. Your chances of success would be unbelievably small. That is the technique that a lot of people use in public speaking, though. "Let's just avid it as much as possible, and over time, I will get better somehow." Huh? That doesn't make a lot of sense. One of the reasons why the Fearless Presentations ® class works so well is that we allow our participants to string together a series of successes over and over in a very short period of time. The Final Step is to Make Successive Practice More Complicated. On occasion, I will have people at the end of my class say something like, "Doug, I still felt nervous at the end of class. Is there something wrong with me?" Of course not. The technique that we use in the class is to make each successive activity (presentation) a little more complicated than the last. My the time that we finish the second day, the presentation that class members put together is more complicated than ones that a lot of professional speakers design. However, each class member is able to deliver that final presentation with a lot of poise and confidence. So, when I get get someone saying this at the end of class, I typically ask the person what would have happened if I had assigned that last presentation that they delivered as the very first exercise in the class? The answer is always either, "I would have been terrified," or "There is no way that I could have done that yesterday." 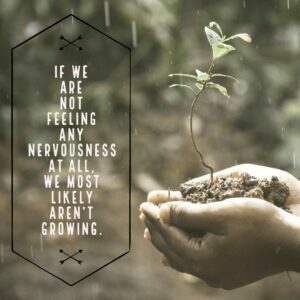 What a lot of us fail to realize is that even when we dramatically reduce our nervousness, we may still feel some nervousness. 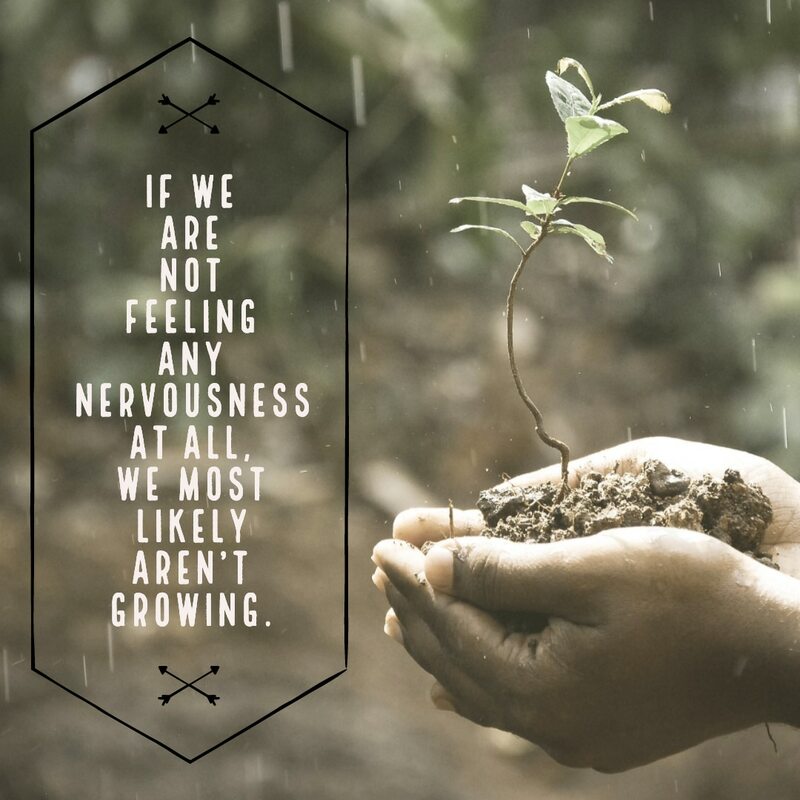 In fact, if we are feeling no nervousness at all, we most likely aren't growing -- we aren't getting better. The example that I often use in class is learning to fly an airplane. If you have never had any training to fly an airplane, and, on a whim, you just jump into a cockpit, you will likely be terrified. However, if you train with a flight instructor for about 50 hours, your confidence will improve dramatically. However, on your first solo flight, you are still going to be nervous. The nervousness will just no longer keep you from trying. The big thing to keep in mind is that after you fly solo about 10 times or more, that nervousness will likely drop to next to nothing. This is what happens with public speaking as well. Once people go through our classes and apply the skills that the master in the class over and over, that nervousness drops very quickly. So, Why Am I Still Nervous?